Separately I wouldn't even bother posting these rumors, but put together they are at least worth a mention. 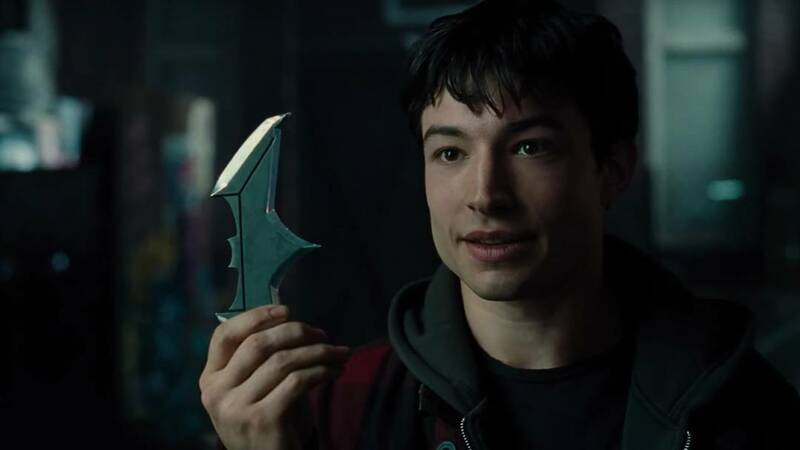 A couple of days ago a rumor surfaced that DC Films was looking to scrap the Flashpoint movie and go with a more traditional solo Flash movie starring Ezra Miller. This was based on a caption-less tweet by Umberto Gonzalez showing Jeffrey Dean Morgan's Thomas Wayne evaporating ala the Infinity War memes that are everywhere right now. This rumor wasn't too different from what we had posted about just a few weeks ago, that major changes were coming to Flashpoint which would include a title change but not necessarily a story change. So I didn't consider it worth covering again. Now there's been an addition to the story, from a less-than-credible source in Revenge of the Fans. They say the decision to scrap Flashpoint coincides with the plan to move forward without Ben Affleck as Batman. How are these two things connected? That requires going back to yet another rumor from early this year. In case you haven't noticed, we haven't heard much of anything about Affleck's future as Batman. Not even a drip drop of info. A few months ago a story surfaced that Flashpoint, which uses a heavy time travel mechanism to drive the plot, would have been used to reboot the DCEU, changing Batman in the process. No more Affleck. It would have been a convenient way of writing him out of the franchise, while doing something similar to what X-Men: Days of Future Past and J.J. Abrams' Star Trek did for those movies. So if Flashpoint is dead, so are the plans to use it as a means of sweeping out Affleck. That would most likely mean we've seen the last of him in the cape and cowl, and there will be somebody else as Batman next time the character shows up. Who knows when the Hell that might be. Consider the sources for both halves of this rumor, but keep it in the back of your mind in case we get some official word soon.